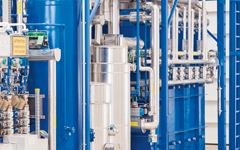 Evonik will be constructing a demo plant for hydroformylation. 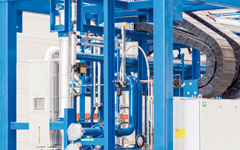 This facility will convert olefins and syngas to aldehydes. Among other applications, aldehydes are used as precursors for plasticizer alcohols. Linde intends to demonstrate the feasibility of the reactor’s concept for the water-gas shift reaction, in which carbon monoxide (CO) and water react to form hydrogen (H2). If the new reactor concept is successful using CO or CO-containing syngas derived from biomass, the ROMEO researchers will have found a way of generating hydrogen from biogenic waste materials, for example wood waste. in a near industrial environment.